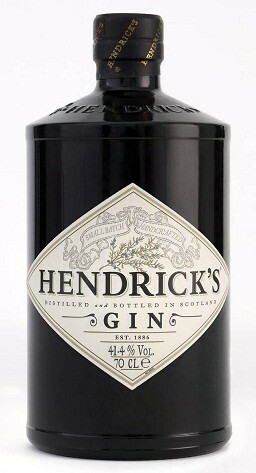 Hendricks No other gin tastes like Hendrick's because not other gin is made like it. Hendrick's Gin is made with hints of Coriander, Juniper, Citrus Peel, Rose Petals, and an infusion of Cucumber. This palette of flavors imparts a surprisingly balanced, delectable complexity. The taste is clean and refreshing, yet unusually rich for a gin.